Rolling hills, buttercup meadows and wildflower lanes, it’s little wonder so many of you are falling for the rustic charm of a farmhouse holiday. 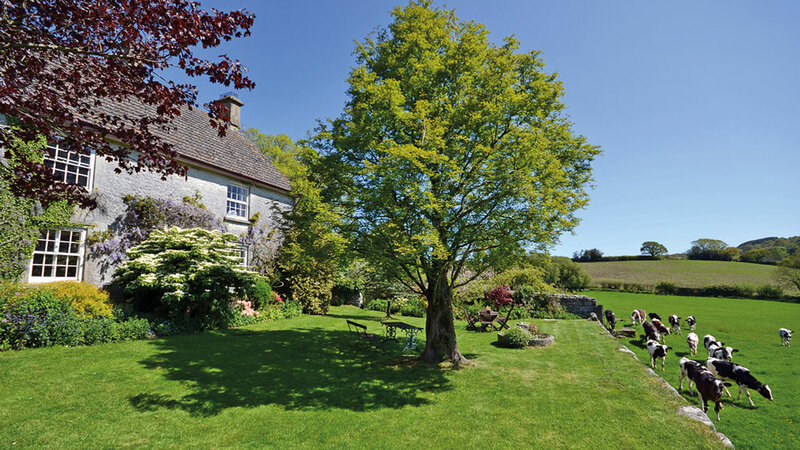 Our holiday cottage listings are brimming with some of the most handsome farmhouses in the West Country, all of them surrounded by lush, green pastures and gorgeous countryside. Nestled into the South Hams hills, on the outskirts of the riverside village of Dittisham, lies the delightful Foxenhole Farmhouse. 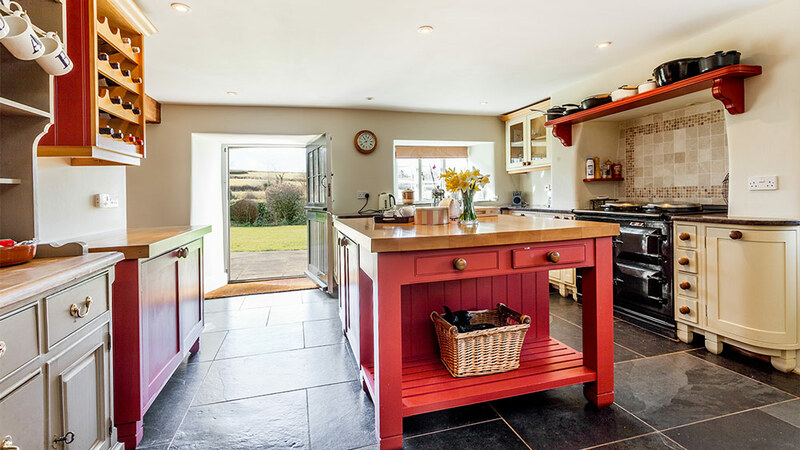 With its breathtaking views along the Dart Valley, sweeping all the way to the heather-flecked wilds of Dartmoor, this lovely, rural dwelling is only a hearty stroll from the nearest pubs and eateries. Tug on the boatman’s bell rope to be ferried to Greenway House and Gardens, former home of Agatha Christie, or take a riverbank walk and discover the narrow Elizabethan streets of the much-loved port town of Dartmouth. Foxenhole sleeps up to six guests, has all the mod cons, and is also one of our many dog-friendly holiday cottages. Church Farmhouse has been taking the plaudits ever since we welcomed it to our South Devon listings. This newly refurbished holiday property is full of luxury and charm and sleeps up to ten guests, making it ideal for large family get-togethers and gatherings of friends. Set in the heart of Thurlestone, a picturesque village on the South Hams coast, this impressive farmhouse provides the perfect base from which to explore the rest of this idyllic region. Encompassed by glorious Devonshire countryside and with the footslopes of Dartmoor not far beyond, Lower Well Farmhouse remains a real gem. Its four spacious bedrooms can accommodate up to seven guests, and its large, pristine gardens provide the ideal space for the kids to run wild. Pack your picnic hampers and explore South Devon’s golden beaches and sparkling bays, then return to the homestead for a sizzling barbeque and a dip in the heated indoor swimming pool as the sun sets on the hills. With its flagstone floors, open beams and old stone walls, Locks Farm has been lovingly updated without losing an inch of its quintessence. This really is an exceptional property, both inside and out, while the glowing reviews speak for themselves. 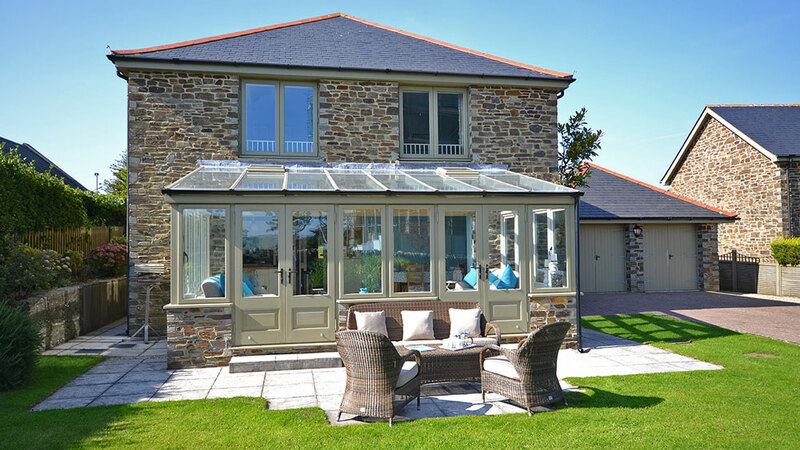 Surrounded by the farmer’s fields and coastal paths of East Prawle on the stunning South Devon peninsula, you’ll never want to leave this enchanting West Country setting. Locks Farm is another from our long list of holiday cottages that welcomes dogs. Surrounded by dramatic moorland and close to the meandering banks of the River Barle, lies Brightworthy Farm. This beautiful, remote farmhouse is both spacious and full of rustic character having undergone a sympathetic refurbishment. Features such as its lovely old stone fireplaces and its ledge and brace oak doors all add to the rugged charm of this much-loved holiday home set close to the historic Exmoor village of Withypool. The picturesque New Forest village of Minstead provides the setting for Acres Down Farm Cottage. 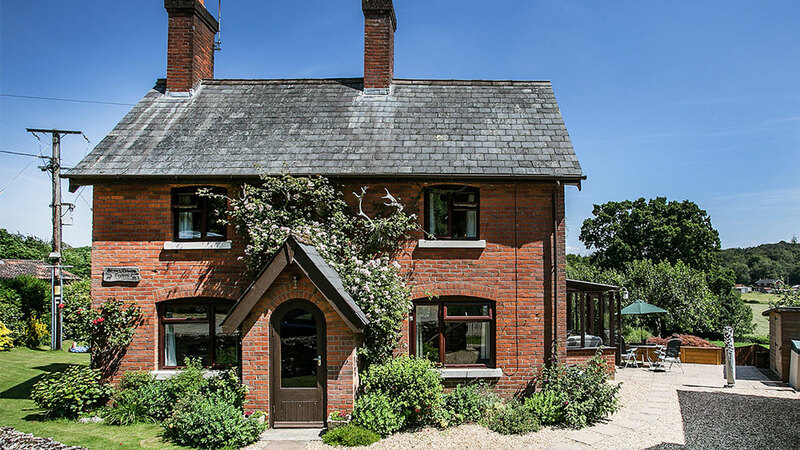 Its weathered brick walls and blossoming frontage are simply delightful, as is its snug interior and its beautiful, leafy gardens with lovely views towards the woodland beyond. Surrounded by countryside tracks and trails, olde worlde inns and honeysuckled lanes, you’ll have no trouble whiling away the hours or adjusting to the village pace of life. It’s a real peach of a property. Deep in the heart of the South Hams lies Lower Manor Farm. This impressive 13th century house has been handsomely renovated and still retains many of its attractive period features. It’s certainly one of our more spacious farmhouse dwellings with room enough for twelve guests, who can take full advantage of its two comfortable living areas, its beautifully appointed bedrooms and its ample grounds. It’s reputed that centuries ago a lit lantern was placed on the old scullery windowsill as an ‘all clear’ signal to smugglers hauling ashore their contraband. The local pub at Ringmore is within easy walking distance, as is the soft sands of Ayrmer Cove. Here, you’ll find stunning coastal scenery at every turn. Tucked away in the rolling East Devon hills with a distant glimpse of the sparkling waters of Lyme Bay is Hedge End Farmhouse. With its copious lounge, stylish kitchen and plush conservatory, this stone-built former farmhouse boasts stunning views at every turn. Enjoy barbeques on the sun terrace looking out onto the wooded gardens. This spacious dwelling provides a great base from which to explore the spectacular surrounding coastline. Neadon Cottage is part of a gorgeous 17th century Devonshire farmhouse set in the rugged pleats of Dartmoor with views of valleys and meadows. 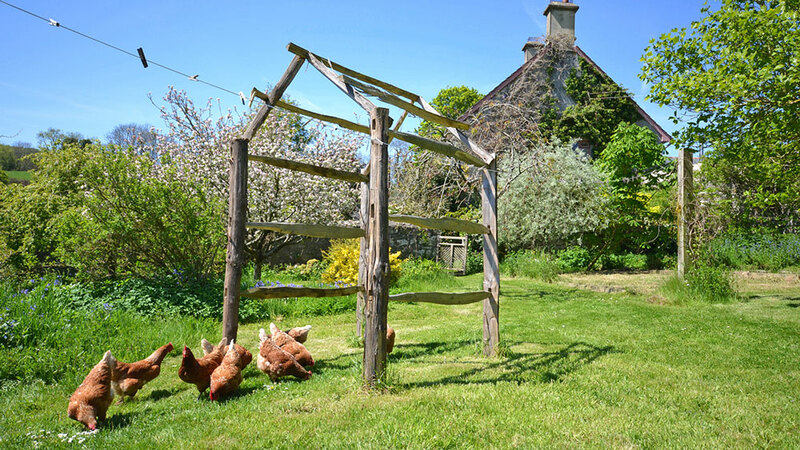 Located on a 50 acre mixed working farm, guests are welcome to wander the farmland and feed the chickens, which will delight people of all ages. This charming bolthole is full of character; from its cosy cottage kitchen, stable doors, vine-draped courtyard and wild-flower garden. Here, you’ll be surrounded by endless walks around the ancient hilltop tors, wooded dells and babbling brooks of Dartmoor and the stunning coast beyond. Not far from the quiet harbourside waters of Newton Ferrers and Noss Mayo lies the handsome farmhouse named Wilburton. The large kitchen diner, complete with Aga and double Belfast sink, is a lovely place for the family to gather, as is the adorable lounge with its inglenook fireplace and charming décor. This beautiful countryside property is less than a mile from the charming village of Yealmpton with its woodland walks and highly regarded gastro pub. Enjoy blissful days and quiet, starry nights when you book a stay at Wilburton; another one of our many dog-friendly holiday properties.